As many of you already know, I'm off to America for the first time in a couple weeks with the Sutton Trust/ Fulbright Commission Programme and I am beyond excited!! I'm going to visit some of the most prestigious universities in the world as well as experience some true American culture. I've been lusting after this 'H! By Henry Holland' prom style dress since it was released in Debenhams stores a few months ago but I couldn't bring myself to spend nearly £50 on it. 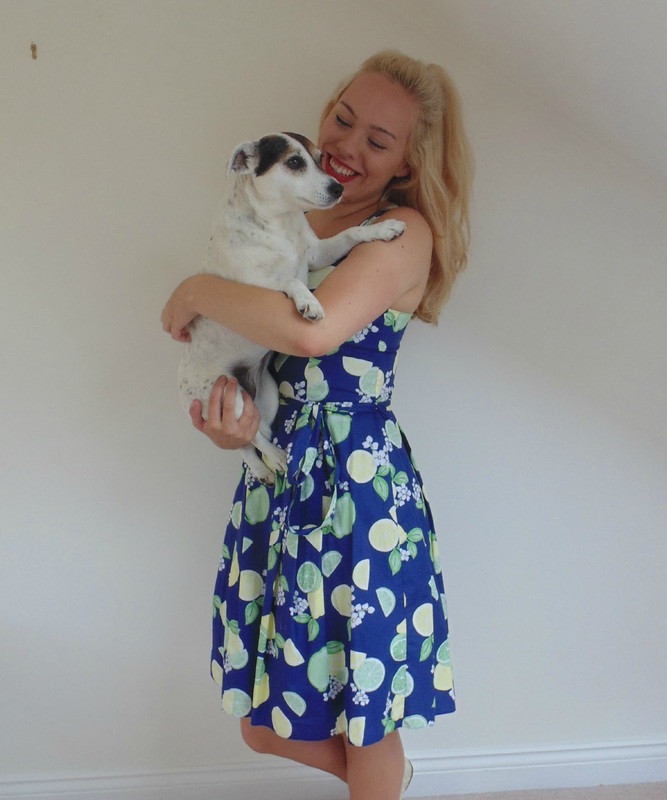 Fast-forward to now and I was lucky enough to grab one of the last dresses in the sale at only £13!! I couldn't believe what a bargain it was! Its soo flattering, with a sweetheart neckline and cute knee-length skirt; It definitely has a 50s vibe to it, which I adore. I love the fun print of the lemons and limes on the navy blue which gives a great pop of colour! Its really easy to dress up with heels or dress down for the day-time with pumps and a denim jacket- so versatile! 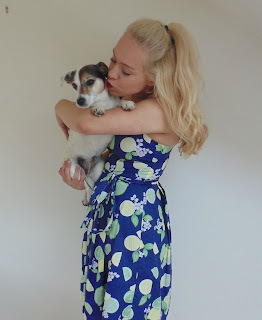 I've style it here with my Primark lace pumps, a half-up hair do (very Ariana Grande-esque!) and a classic red lip in Burberry lipstick in '109 Military Red'. My sister, Flora, picked out this next dress among the sea of other sale items in New Look. 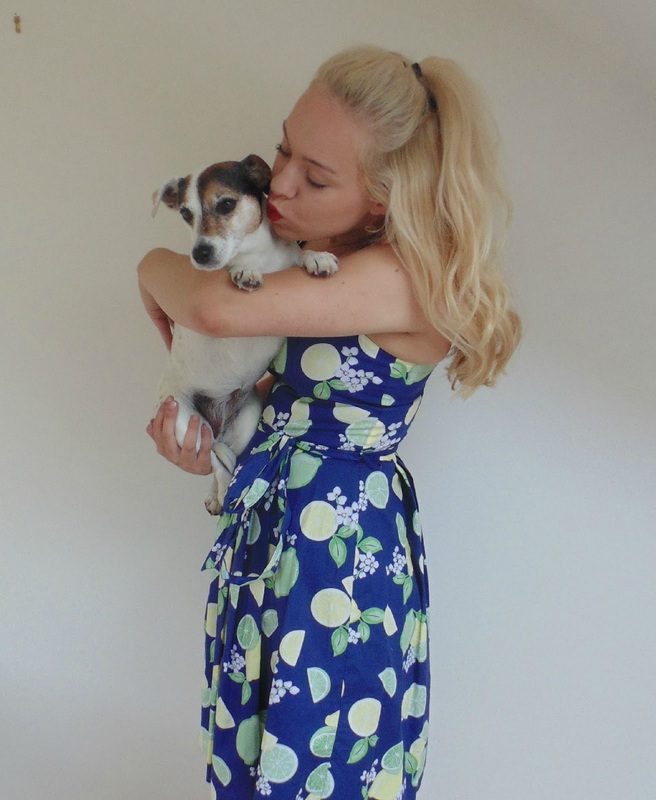 This dress is from the brand 'Mela Loves London' which New Look stock in their store; It was reduced to £15 from £25. 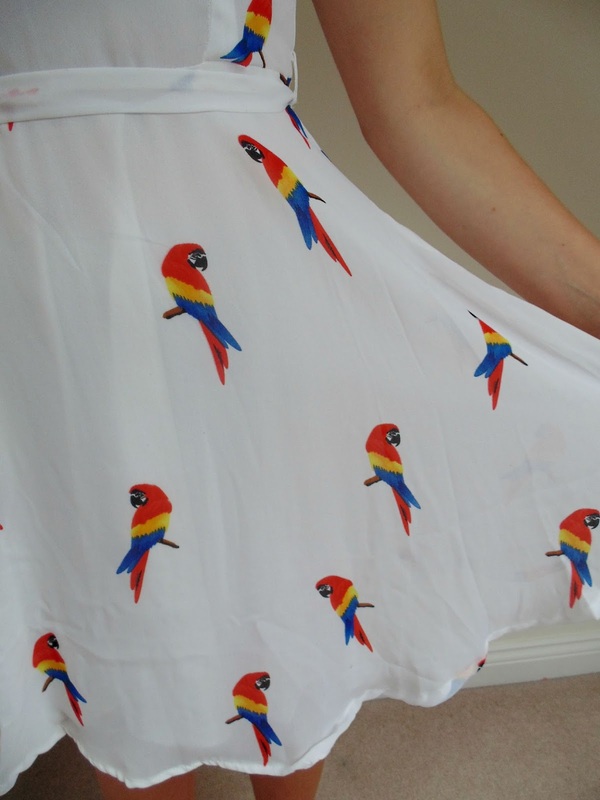 I absolutely love it- its made from lovely, soft polyester material which makes it super light, so perfect for hot, sunny days. 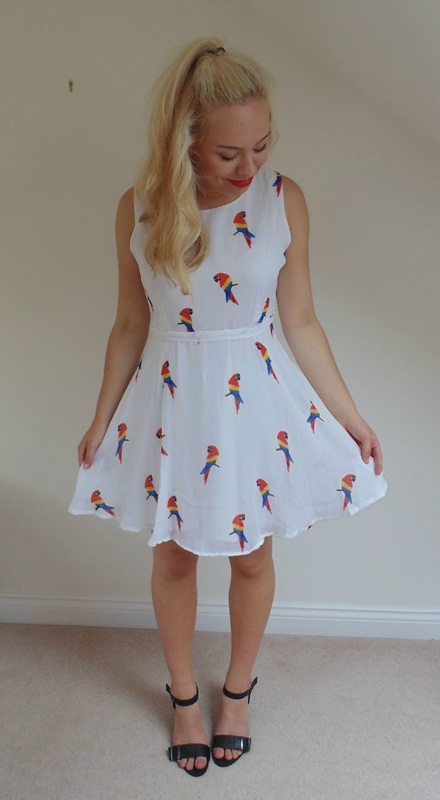 It has a really fun parrot print which gives the perfect amount of colour on the white canvas dress. Its very flattering, with a ribbon to tie and nip in the waist which I think always suits my figure. The skirt kind of flips out at the bottom which makes it lovely and floaty so I've spent the majority of my time twirling around in it so far. Here I've styled it with my black sandal heels from New Look but it can easily be dressed down with a pair of comfy sandals, which is what I'll be pairing it with when I'm on my trip! As most know, Henry Hollland is one of my ultimate favourite designers and here he saves the day, once again! (Thanks Henry!) This adorable dress was reduced to only £11.40 from its original price of £38! Its made of scuba material which is really different for me but I love it, it's so comfy! Similarly to the others, its very colourful which is what I always look for in my summer wardrobe! I've paired it with my 'H! By Henry Holland' sandals and it matches perfectly with a bold red lip! I've had my eye on this one for a while. 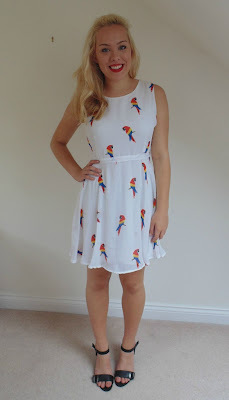 For only £10 in Primark, this light, casual boho-like dress is perfect for a summers day! I love the busy pattern that is subtly embroidered with a few beads which really finishes the outfit well. A feature of this dress that I especially like is the longer sleeves which just covers the top of the arms for a bit more coverage. I've styled it here with my Primark lace pumps again but with a more casual hair style with natural waves. I am LOVING the 70s style at the moment so the new range in New Look really excites me; its full of quirky prints, suede, tassels- the lot! I picked up this adorable crop top for £8.99. I adore the yellow print and frill around the bottom of the top which is also really flattering. I'm wearing it here with my classic H&M black high waisted jeans, Primark pumps and thrown on my round Primark sunglasses (no they're not Mickey Mouse ears haha!) but for warmer weather I would wear it with a high waisted skirt instead! So that's my clothes haul! I'm really pleased with what I've bought and can't wait to wear it abroad! Stay tuned for posts following my trip to America! 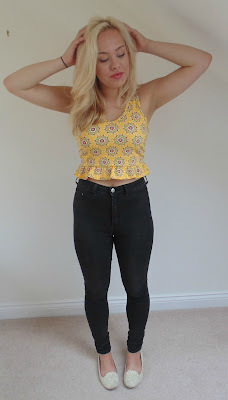 I absolutely adore that yellow crop top! Your sense of style is soooo pretty! I especially love the lemon and limes one :) Have fun in America! Looking forward for more lovely suitings like this one.